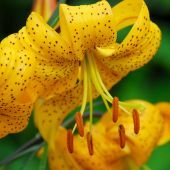 There are well over 100 lilium species. They grow wild all across the Northern Hemisphere and are so varied and complex (and through cross-hybridizing still ever expanding) that it is very difficult to organize and describe them. 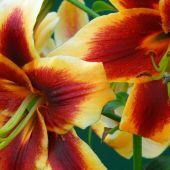 For your convenience we have focused here on the garden types (usually hybrids) that you will find most commonly commercially available. 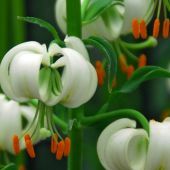 Lilium Candidum (aka Madonna Lily) is claimed to be the very first flower for cutting purposes. 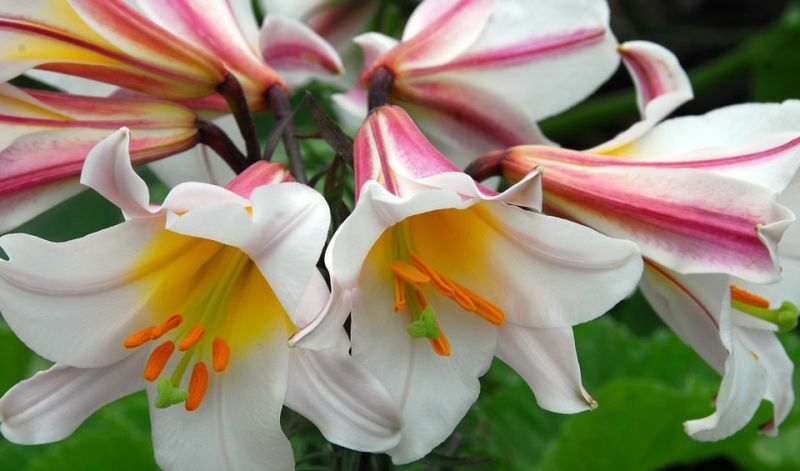 It was cultivated in cloister gardens of the Middle Ages and used for decoration in churches. 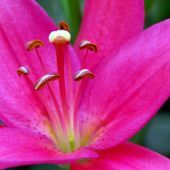 Easy to grow and thriving with minimal care, lily bulbs can be planted in both Fall or Spring. 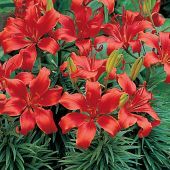 They are Winter hardy and considered a perennial that can be left in the ground and will rebloom year after year if the conditions are right. 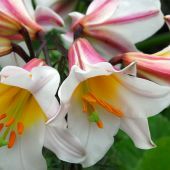 Most often though the complete range of lily types and varieties are available in stores only in the Spring. Don't let the bulbs dry out and plant them as soon as you can dig into the soil in early Spring. 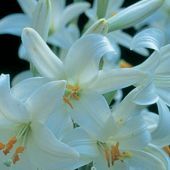 Plant the bulbs deep, at least 8" / 20 cm: besides basal roots lilies also form roots on top, so called 'stem roots' on that part of the stem that is below the soil surface. If the bulbs have sprouted before you were able to plant them makes sure to leave the top part of the sprout exposed, then add more soil later as the plant grows taller. Lilies do not like dry heat. Keep the soil moist at all times. 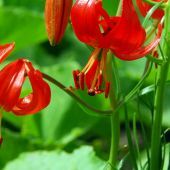 Provide a layer of mulch and interplant your lilies with perennials, annuals or a groundcover to shade the soil around the bulbs. 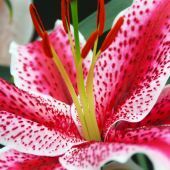 Lilies are also very suitable for growing in deep (12-16" / 30-40 cm) pots with sufficient drainage. Once in bloom they can be moved into a high profile spot. Make sure to water the pots frequently.